War photographer Grace, devastated by a violent incident in Iraq, renounces her profession. Her Belgian husband, Max, is a cataract surgeon working at an eye clinic in the high Andes of Peru. Nearby, the villagers of Turubamba succumb to illnesses caused by a mercury spill from a local mine. Saturnina, a young woman in Turubamba, loses her fiancé to the contamination. The villagers turn their rage on the foreign doctors, and in the ensuing riot Max is killed. Saturnina takes drastic measures to protest against the endless violations towards her people and their land. Grace sets out on a journey of mourning to the place of Max’s death. 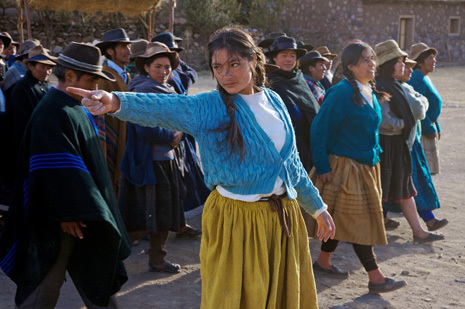 ALTIPLANO is a lyrical and probing film about our divided but inextricably linked world.